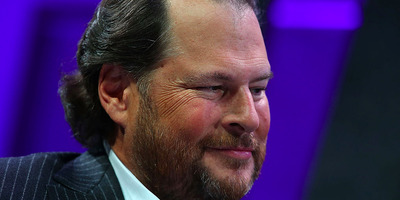 Salesforce late Tuesday confirmed the reports that it is buying MuleSoft in a deal valued at $US6.5 billion ($AU8.45 billion). Shares of MuleSoft were briefly halted on Tuesday after news reports that the company is in advanced talks to sell itself to Salesforce. Salesforce is buying a company called MuleSoft in a deal valued at about $US6.5 billion ($AU8.45 billion). Shares of MuleSoft, were briefly halted on Tuesday after Reuters reported that the company was in advanced talks to sell itself to Salesforce. By the end of the day, Salesforce announced the deal. When word first leaked the deal was in process, investors drove MuleSoft’s shares up 20% before trading was stopped. At the time of writing, after trading resumed MuleSoft is up about 21%, giving it a market cap of $US5.21 billion. Salesforce will buy MuleSoft for $US36 cash per share and 0.0711 shares of Salesforce common stock per MuleSoft Class A and Class B common share. That amounts to $US44.89 per share, a 36% premium over MuleSoft’s closing share price on March 19, 2018. MuleSoft is a good fit for Salesforce. MuleSoft offers a cloud service called Anypoint that allows developers to connect different apps together, so those apps can work together and share data. 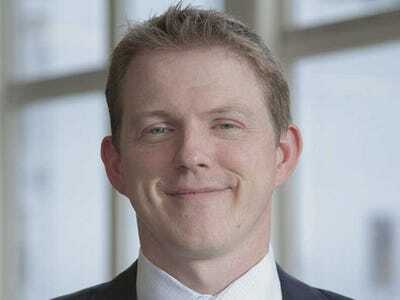 MuleSoft was the brainchild of founder Ross Mason, who began it as a small open-source project in 2003 when he and his wife were living on the island of Malta. He was working as a corporate IT developer, struggling to make applications talk to each other, and he whined about it until his wife told him to stop complaining and do something. His project grew through word of mouth until it grew so big, he moved the company to San Francisco and started taking on venture capital investments, eventually raising $US259 million at a valuation of $US1.5 billion. MuleSoft had a successful IPO just over a year ago, pricing its shares at $US17, and has been posting solid revenue growth ever since. Last month, it reported fiscal 2017 revenue of $US296.5 million, up 58% year-over-year and its $US88.7 million for the final quarter beat analysts expectations by $US5.18 million. On word of an acquisition, investors drove the share price up from about $US33 a share to $US42.40, when the stock price was halted. MuleSoft is now valued at about $US5 billion but shares were already cooling off to about $US40. MuleSoft will join the Salesforce Integration Cloud, which was Salesforce’s competitor to MuleSoft’s flagship product.